Religion is still a tough subject to tackle as a filmmaker. We see it now in our time. Freedom of speech will only get you so far. We have situations like the one that happened just a few days ago for the people of Charlie Hebdo. Such a tragic time. I myself am a religious person but I also accept that others have different beliefs and it is our freedom to question it and challenge and I believe it makes us better people and stronger in the beliefs we have to challenge them. 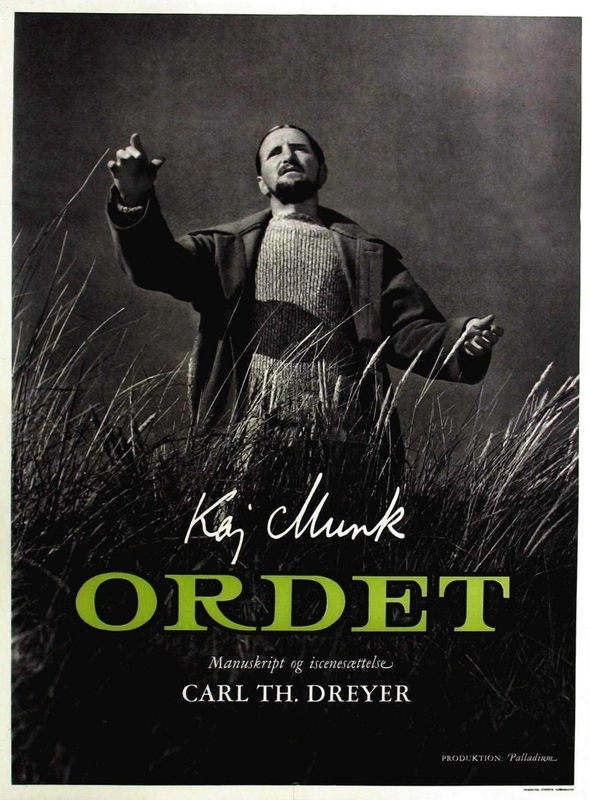 Sixty years ago today, the film version of Kaj Munk’s play Ordet was released. It challenged religion too. The Borgen family has a lot of different views on life. Patriarch Morten (Henrik Malberg) is a patron of the local church. His eldest son Mikkel (Emil Hass Christensen) has no faith but is married to Inger who is very religious. Morten’s youngest son Anders (Cay Kristiansen) is in love with a woman of a different religious sect and both his father and hers do not allow the marriage. Then there is Johannes (Pebren Lerdorff Rye), who has lost his touch with reality and believes himself to be Jesus Christ. The Borgen family’s differing beliefs are about to collide with the oncoming birth of Mikkel’s third child. Ordet is perhaps not nearly as religiously challenging as more contemporary releases have been, but it allows the audience to witness the trials and tribulations that come with having differing opinions about the world. How easily issues can escalate. We can see that today more than ever. The film runs smoothly enough. Director Carl Theodor Dreyer (The Passion of Joan of Arc, Vampyr) has subtly added his own touch to Munk’s play in his adaptation, though not truly altering the play itself. 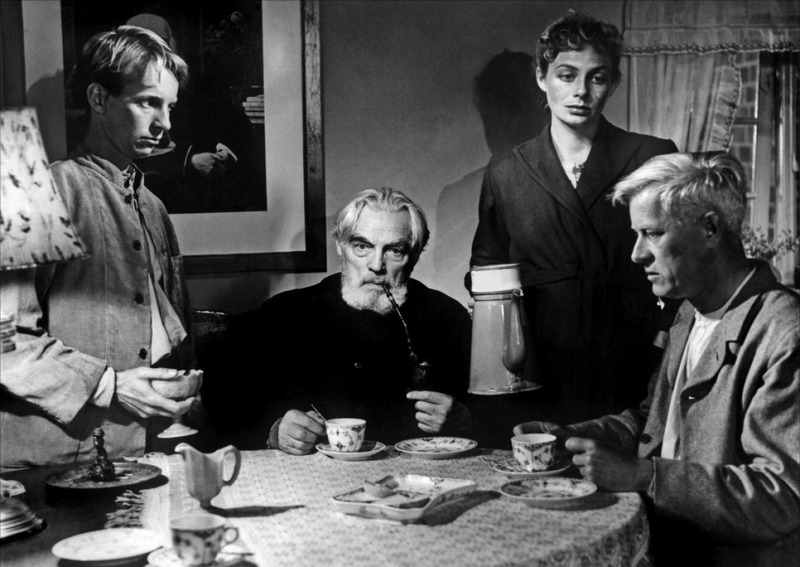 To the contrary, Dreyer’s adaptation alludes to other works by the director and through studying his films, one can see some interesting symbols playing off each other. Rye’s performance as Johannes is equally depressing and over-the-top goofy. He adds an unnerving and maddening vibe to the proceedings. Now, the film has some faults. I wasn’t truly invested in Anders’ story. I didn’t think he was all that multi-dimensional. And Morten Borgen is a rather infuriating character entirely, played rather dryly by Malberg. 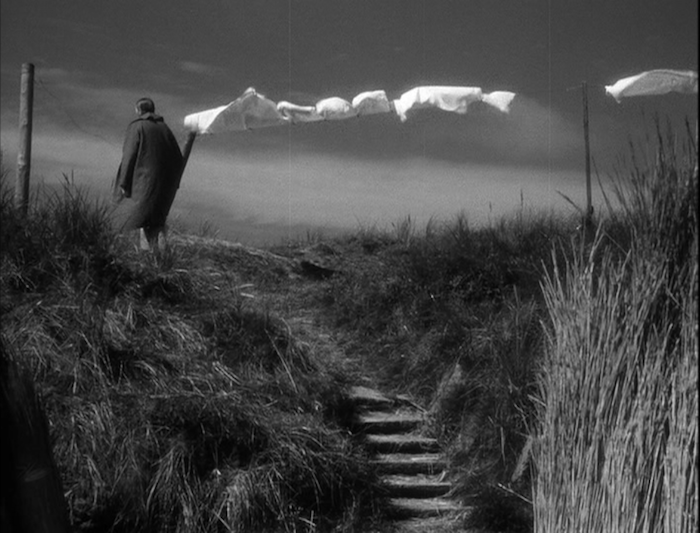 To all end, films like Ordet are needed in our society. We need to find challenges in our beliefs and opinions in order to strengthen them. That’s what the film is about; strengthening your beliefs or finding that you believe something else entirely. If you take nothing else away from this post, take this: do not feel threatened by someone who believes something different than yourself. Believe what you want, but it is when we find violence rather than mutual appreciation that we find ourselves without out minds. Good night.